Last Thursday, August 3rd, Sigler employees proudly competed in the 2017 Hy-Vee Cup, the kick-off event for the 10th Annual Hunger Fight put on by Meals From The Heartland. This was Sigler’s 6th year competing in the Hy-Vee Cup, but we’ve proudly worked with Meals From The Heartland for the last 10 years on creating artwork and producing pieces such as brochures, donation cards, signup cards, and stickers. The Hy-Vee Cup is a competition between teams of volunteers to pack meals as quickly as possible. After a practice round of 6 bags, each team was given 72 bags per round, with the four fastest teams advancing to the final round. All were assembled in about an hour with a total of just over 7,500 meals packaged to be sent out to families in need. 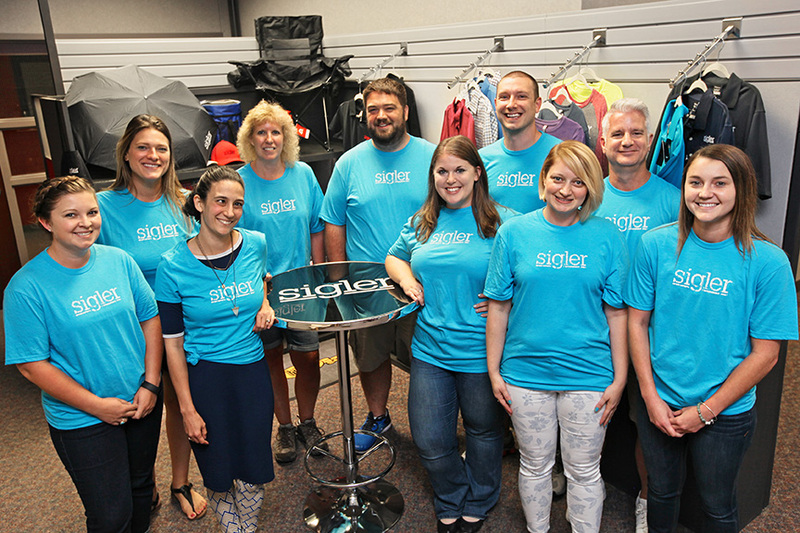 Of the seven participating teams, Team Sigler was one of four teams to advance to the final round, finishing 2nd place overall – coming in just seven seconds behind the winning team! The team had a great time working for a good cause and is looking forward to participating again next year. Over the next month, the packaging center and mobile events will work to raise money and create meals. Meals From The Heartland anticipates packaging their 100 millionth meal during this year’s Annual Hunger Fight finale event, happening August 30-September 2 this year at Hy-Vee Hall. Since 2008, Meals From The Heartland has provided over 83 million meals to the hungry in Iowa and around the world. If you would like to participate in the event or find more information about ongoing volunteer opportunities, visit MealsFromTheHeartland.org.